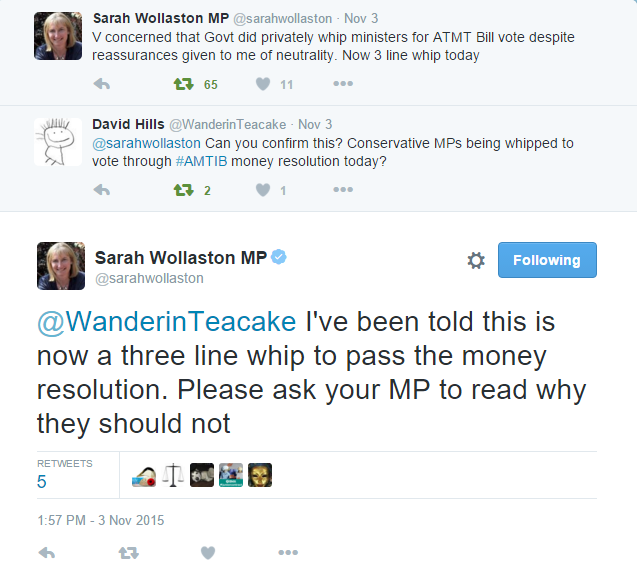 The Money Resolution for Chris Heaton-Harris’s version of Lord Saatchi’s Medical Innovation Bill, the Access to Medical Treatments (Innovation) Bill (AMTIB) took place on 03 November 2015. The Hansard record of the debate can be read here, continued here. The Resolution was passed by 281 votes to 227, giving a total of 508 MPs voting, although little more than a dozen MPs actually attended the debate. This was a massive turnout to vote, particularly when compared to the 51 MPs who voted at Second Reading. That might explain the high turnout. But what was said in the debate? This post is the first of several looking at key issues of the debate and will look at the claims by both George Freeman, Parliamentary Under Secretary of State for Life Sciences and Chris Heaton-Harris about the relationship between this Bill and Saatchi’s Medical Innovation Bill (emphasis added). Does this Bill have ‘a very different structure’ to the MIB? Is it ‘massively different’? Has it really ‘massively evolved’ from the MIB? It really is surprising that neither the drafters of the Bill nor Freeman knew what powers were already available to the HSCIC. But remove that superfluous section 2 of Heaton-Harris’s Bill and what are you left with? Essentially, the Saatchi Bill. Not massively different in the slightest.